Whoooo what a week! This was definitely my favorite week of training so far- not only because I have a goal race in mind for the fall, but also because one of my favorite blogging friends came up to visit! We packed in so much this weekend that I feel like I need a break before I go back to work. But- here's a look back at my week of training, as well as a few highlights from the weekend! Easy miles to start off the week. I'm going to start training for a fall half marathon soon, so I'm trying to transition slowly over to the plan that I'll be using! Every Monday there's a run between 3 and 6 miles, so I'm trying to start off my Monday with a long(er) run than my usual 1 mile! I had an appointment at the oral surgeon, which meant I got to work from home and run in the morning. It felt great out, with lower humidity and a cooler temperature. I loved it! Easy mile around my neighborhood after work. Dan, Selma and I took our kayaks out to North Park! It was so nice out and being out on the water was really relaxing. Selma wasn't really a fan of us being apart and kept trying to jump into my kayak. Next time I'll try to keep her and see if she does better. If anyone kayaks with their dog and has suggestions on keeping them IN the boat, please let me know! I wanted to get in some speed work, so I searched for a fun half hour treadmill workout I could do during my lunch. I found this one on Pinterest, which ended up being amazing! The speeds and inclines were constantly changing, which helped the time fly by. It was definitely a challenge, but I really enjoyed it. Easy run around the block with Selma! Still cooler out, so I was loving it. In the evening, Sokphal came by to stay with us for the weekend! She was in town for work, and was nice enough to stay a few extra days. We went to Grist House Brewing and grabbed food from the Franktuary truck. Steff even stopped by after she ran the Liberty Mile! I've never been to the brewery before, but it was amazing. So much space, amazing beer, and dog friendly. What more could you want? We had a very packed day, so Sokphal and I woke up early to get in a run. We ended up running 7 miles, which is the longest run I've done in a long time! I originally only planned on doing 5, but she convinced me to do another 2 with her. It's always great to have active friends who can peer pressure you into physically pushing yourself! After the run, we stopped by First Watch for brunch (which was soooo good- best part of running on weekends right?). After we got showered and changed, we went on a touristy trip around the Burgh. It was such a perfect weekend to have a visitor, because the weather was absolutely perfect and there was so much going on! We started off in Mt Washington, then headed downtown to walk around. We stopped for food at Social House 7, which is an Asian Fusion restaurant. Everything from the decor to the drinks to the food to the service was top notch, and I definitely want to go back soon. After eating, we stopped by Picklesburgh, walked through PNC Park, relaxed on the water steps, then took the T back downtown. We headed down to the Strip for Vine Rewind, which was a music/food/wine festival held at the Pittsburgh Winery! The music was amazing, but none of us were really in the mood for wine or beer. Instead, we headed to Dobra Tea to sit and relax from a lonnnnnng day with some hot tea. I ended up walking and running nearly 20 miles, so I was really happy to head home and sleep! Do you like to play tourist in your own city? TGIF everyone! Today is a very happy Friday for me, because Dan is coming home from a work trip! He left right after we came home from Mexico, so it's been a very long three weeks without him. We have a lot of fun plans after he comes back, but are also spending a lot of time relaxing too (he had to work 15 hour days every day for the entire 3 weeks..eek!). 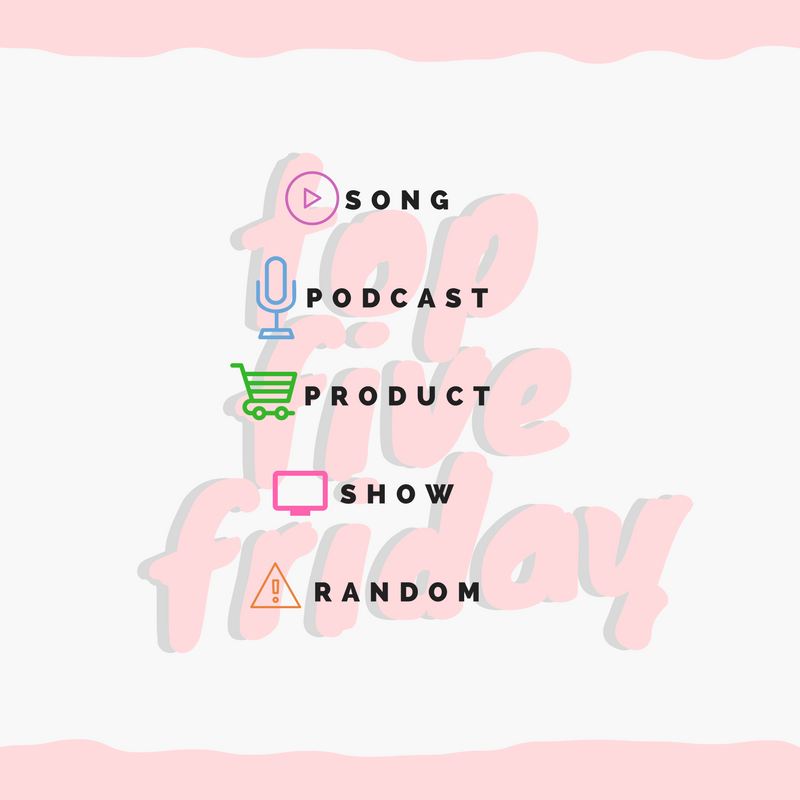 Besides that- I have a lot of fun and different things to share with you all for my Top Five Friday post! I hope you enjoy and manage to relax this weekend! It might have to do with the hot, hot, HOT weather we've been having lately, but I can't stop listening to Latin/Spanish/Carribbean music lately. One of my favorite genres is Reggaeton, which is kind of like Latin hip hop. Wisin is one of my favorite artists, and I have been listening to his albums (El Sobreviviente and El Regreso Del Sobreviviente). They always make me want to dance and put me in the best mood! This was definitely one of my favorite podcasts last year, and I'm so excited that the new "season" is out! There's only been one episode so far, but I'm already completely hooked. It's picking up where the last season left off, with new characters being introduced. This year, the creators are also coming out with a companion novel, and a series is in the works with Amazon (with none other than Julia Roberts set to star). Check it out! I have been looking for the perfect utility jacket for what seems like years- I had one that was ok, but not perfect, that I bought for really cheap from HM back in college, but I had to get rid of it last year. Ever since, I've been looking for a replacement. I wanted to get a jacket that I loved instead of just one that was good enough, which I knew meant that I would have to spend a bit more money. I originally found one from Gap that looked great online, but ended up being awful in person. Then, when I was running errands at the mall, I happened into Madewell to look around, and found THE jacket. I knew as soon as I saw it that it was the one, and it looked even better on! The material is really high quality, and the color is the perfect shade of green. I love the fact that it has a zipper, along with plenty of pockets (that don't make the jacket too puffy). The sleeves are the perfect length, and the size is just right for me. It was expensive, but I know that I'll get so much use out of the jacket and be able to wear it for years to come! Sometimes, waiting for the right piece is worth it! Big Brother - It's been so hard for me to keep up with the show this year! Since they air a few times a week, I feel like I'm always trying to keep up. So far there aren't too many stand outs for me, and the big disappointment of the season (for me) is not getting to see Christmas actually compete in any physical challenges this summer! I hope she comes back in a future season so we can see her school all of the "super tough" guys. America's Got Talent - To be honest, I'm not that overwhelmed by any of the acts this year. I'm kind of getting tired of the abundance of sob stories and singers (which makes me sound like an awful person...it just seems like this year EVERY contestant has an awful story). Maybe I'll change my mind after the live shows start, but so far I'm not impressed. SYTYCD - I'm loving the format for this year, but I can't believe we'll only get to see 10 dancers in the live shows! It seems like there are a lot of super talented dancers this season, so I'm really sad we will have to see a lot of them go home. I have a few favorites so far- Kaylee, Dassy, and the Russian duo (ahhh their dances give me all the feels!). Can't wait to see the teams get formed and the final 10 get chosen! Friends from College - Pretty much the only non-reality show I'm watching currently! I just started watching this Netflix series, and I'm obsessed with it. So funny and clever and unique. If you haven't watched it yet, get on it! To be completely honest, I've never been much of a meditator. I'm much more of a skeptic, and even though I love doing yoga, I always skip out on the quiet meditation at the end of a flow. In college, I took a tai-chi class (which I loved), but during our 10 minute meditation at the beginning of the class, I could never get my mind to relax (might also be because it was an 8AM class which meant I was just trying to stay awake). I've been having issues sleeping lately, so I decided to just give it another try by downloading a free app, and going through a nighttime guided meditation. Now, I'm a complete convert! I'm not sure if it's because the meditations are guided, so I just listen along and don't find my mind wandering, or the fact that these are more "active" (lots of tensing the body and relaxing to get your body to get ready to sleep), but I'm loving it. 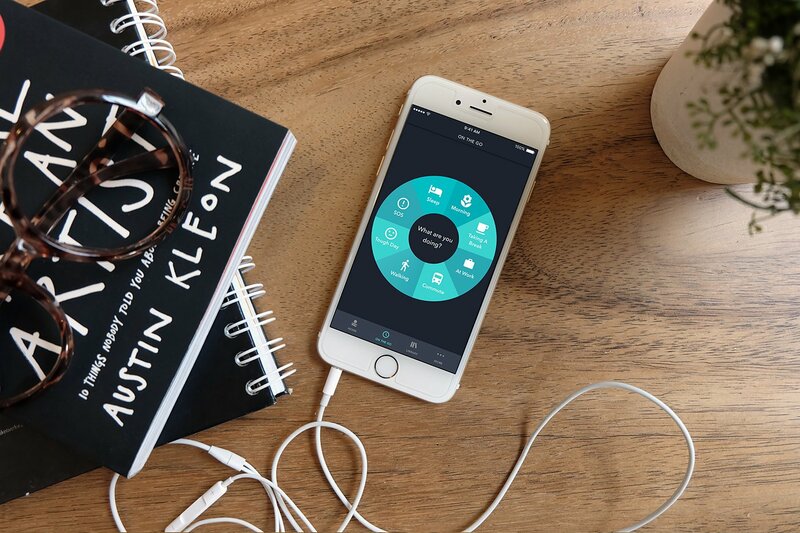 There are so many options you can use to customize the meditations- from length to activity to mood- that I know I will always find the perfect one for me. What do you like to listen to in the summer? A few weeks ago for my birthday, I went on a trip to Mexico with Dan, my mom, and sister. I've actually never been to Mexico (even though it's a quick and cheap plane ride away and I minored in Spanish), so I put it on my 30x30 bucket list. What better way to cross that off than to do it on my 27th birthday? I'll be recapping my trip in two parts, for the two different areas we visited. The first part of our trip was to a tiny island off the coast of Cancun, called Isla Mujeres (or Women Island). To get here, we took an Ultramar ferry from Puerto Juarez, about 30 minutes from the airport. There were seats on top of the boat (where we sat and got to listen to a live singer/guitar player) or inside the cabin. The ride over took about 30 minutes, and we were surrounded by the beautiful Caribbean Sea. Once we got on the island, we were able to rent a golf cart (which, along with motorcycles, is the main transportation we saw). The island is really small, being only 4 miles long and less than a half mile wide. There are two main roads that run down the entire length of the island, from the north (Playa Norte) to the south (Punta Sur). Most of the touristy stuff is near Playa Norte, with a few cross streets and a pedestrian-only area, and the more residential area is in the south. Most people come over to the island for day trips to visit the beautiful beaches, the Turtle Farm or Dolphin Discovery, snorkel in Garrafon National Reef, or enjoy the incredible views. It was a great way to kick off our trip, and we had a lot of fun! Something to note is that every where that we went accepted both USD and Pesos, but made their own conversion rate. We always asked for the price in both currencies, then figured out which price was better. The entire reason why I decided to go on this trip was because I saw the Seashell House on Airbnb (ps- you can save $40 on your trip by signing up with my link!). One of my 30x30 bucket list items was to stay in an over-the-top, amazing house, and as soon as I saw this one I knew it was it. The house is located right by the south tip of the island, in a more residential area. There are two houses (both shaped like shells) and a pool. The bigger shell has a living room, kitchen (which was stocked with beer, wine, pop and water), two bathrooms, bedroom (with a super comfortable king bed) and balcony that overlooks the pool and Caribbean Sea. The smaller shell has another king sized bed and bathroom. Everything in both houses was seashell themed, and it really felt like I was stepping into a different world. Maria's Kan-kin - Sea-side hotel with a great restaurant. Great service (we got complimentary flan at the end of the meal) and fresh seafood. We walked along the beach while we waited for our food and got to see an amazing sunset. Mango Cafe - Really fun place that has a great breakfast, complete with a bottomless Mexican coffee bar. I got the stuffed poblano chile which was HUGE and the perfect way to start the day. Basto's Grill - Tiny restaurant that serves authentic Mexican food. I got the tomato and cactus quesadilla- delicious! Barlito - Cute little restaurant in the Marina Paraiso hotel. They are known for their cinnamon rolls, which are stuffed with almonds and raisins. The grounds are gorgeous (with lots of iguanas roaming around) and the food is delicious! Chedraui - The largest grocery store on the island. There's lots of parking, and they sell just about everything. It almost felt like a Super Walmart! Punta Sur - The southern tip of the island. For a small fee, you can explore the trails and walkways that wind all around the point, as well as a statue park. The views make it worth it, and you can see "Cliff of the Dawn"- the most eastern point of Mexico. Dolphin Discovery - Huge park that has dolphin, sea lion, manatee, sting ray and shark encounters. If you don't want to do that, you can still enter for a small fee and have unlimited drinks, buffet, and relax by the pool for the entire day (this is what Dan and I did while my mom and sister did the encounter). We somehow were given a private cabana to lock up our bags and have some privacy, which was amazing! Playa Norte - One of the most picturesque places on the island. Lots of vendors, music, restaurants and more in the area. Gorgeous white sand beaches and crystal clear blue water. We parked on Calle Vincente Guerrero (right by the Ixchel Beach Hotel). Calle Miguel Hidalgo - Pedestrian street in the heart of town. Find any souvenir you want and try out all the fun restaurants! This is also right by the ferry, so we explored the area while we were waiting for our departing ferry to come. Next up I'll be sharing what we did while we were in Cancun! What's your favorite part of traveling? Hi everyone! Guess who's back with weekly running recaps? It's going to get really interesting, because I decided to start my very first run streak! In case you don't know what that is, you basically just run every day for a set period of time. The minimum (at least for me) will be to do a mile a day. I'm also making it a goal for myself to run with Selma at least once a week, and run with other people at least once a week. You might be wondering why I'm doing a streak, or how long I'll be doing one. I always like trying out new challenges, and I've always been interested in trying out a streak, but the timing never worked out. I decided to do mine from the 4th of July until Labor Day (exactly 2 months) which is happening at a perfect time for me. Right now, I'm not registered for any races, and have no racing plans. I'm one of those people who needs to have a goal in mind in order to keep training, so without any races coming up I knew I had to do something to stay accountable, and decided on trying my first streak! This was my first run back after my vacation, so it was pretty rough! Since it was the Fourth of July, I decided to run 4k (not quite ready for 4 miles yet) and felt pretty good. It was hot and humid out, but I was happy to be out there again. Selma and I headed to the park to go for a run. It was another hot day, so after 2.5 miles Selma was done. We stopped to swim for a while and then walked the final half mile to the car. This was my first "speed workout" in a while, and I decided to take it on the treadmill since it was pouring all day (side note- why has it been raining SO MUCH lately!? Anywhere else, or just Pittsburgh?). I did this as a progressive run, starting off at about 10:30 pace and speeding up to 7:30 pace. It felt great to run inside, out of the humidity, and to go a little faster! I took this run easy and just got a mile in (which is apparently the minimum that counts for a run streak). I'll take it! I had a busy day, so I decided to get my run out of the way super early (like 6:30!) so I wouldn't put it off. It felt good to get out there before it got too warm, and I just took the pace super easy. After I got home, I got ready and headed out to meet my family for a trip to Falling Water! This was an item on my bucket list, so I was really excited to go. The house was just as breathtaking and amazing as I expected, and our house tour was really interesting. If you're ever in the area, I would highly recommend stopping by. I definitely want to go back sometime and spend some time hiking at Ohiopyle while I'm there as well! Later in the night, I met up with some friends for the weekly Jazz in the Park concert at Riverview Park. The City Parks have all kinds of events during the summer, and this is one of my favorite ones to go to. There's an hour and a half of jazz music, followed by a movie in the park. They were showing Captain America, and next week is Rogue One (if anyone wants to come along let me know!!). Best of all the events are always FREE! I met up to run at North Park with Jessie and Maddie, then later picked up Amanda. It was a nice, fun run with some friends, and the miles just flew by! No one really cared about pace, and we just ran what felt good, and walked whenever we felt like it. After we finished our run, we met up with some other local runners (and some bloggers) for mimosas and brunch at OTB at the Boathouse. It was great to meet some people that I've been following on Instagram for a while, and catch up with other girls that I haven't seen for a while. For my first week (which was only 6 days), I ran about 17 miles. Not bad! I'm hoping to bump that up to 20 miles next week, and see where we go from there. Have you ever done a run streak? What races do you have coming up? I need ideas! Hi everyone! It's Friday, which means it's time to share favorites. I feel like it's been such a long time since I've done one of these posts, so I'm excited to share what I've been loving this week. Enjoy! If anyone else watched America's Got Talent and fell in love with the winner, you have to listen to this song! Grace just came out with a new song, which has her unique signature sound and ukulele of course! This is a fun song for summer that reminds me a bit of Florence and the Machine. Give it a listen! 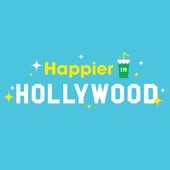 One of my OG Podcast favorites is the Happier with Gretchen Rubin podcast. She hosts the show with her sister, Elizabeth Craft, who is a writer in Hollywood and worked on shows like Angel and The Shield. Elizabeth recently launched her own spinoff podcast with her writing partner, and it's been a lot of fun to learn about a completely foreign industry, as well as learn some work hacks for my own job. Plus, who doesn't want to get a behind-the-scenes look at what Hollywood is REALLY like? 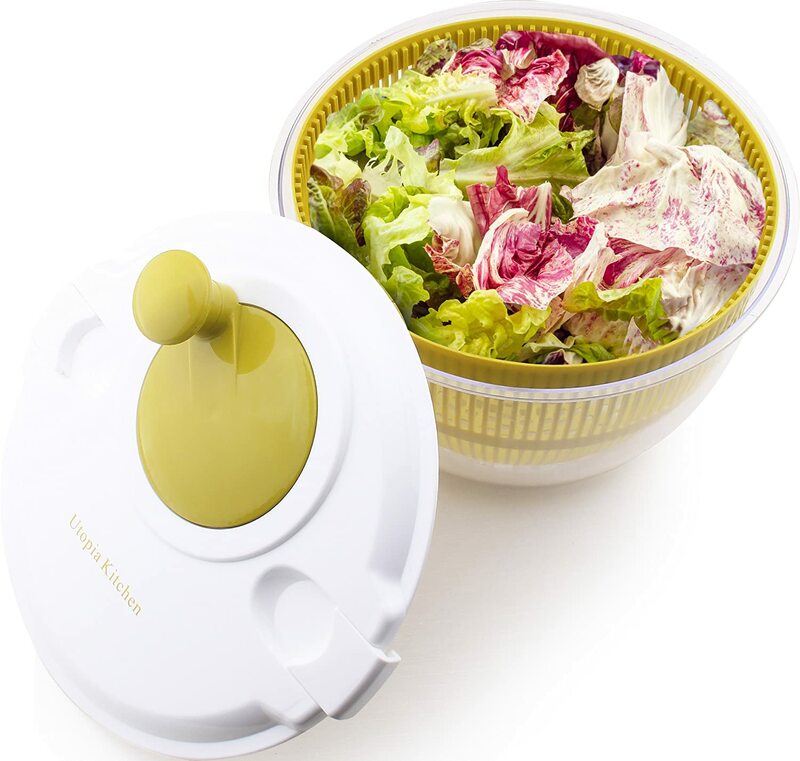 I've been getting a LOT of lettuce, spinach, collards and herbs in my weekly CSA box, so I decided to finally get a salad spinner. I didn't think it would make much of a difference, but now I find myself eating up all the leafy veggies all the time. It's so much easier to wash the produce and spin to dry rather than trying to towel dry, and then I can just leave the lettuce in the spinner until I'm ready to use it! I found this one for super cheap at Home Goods, and it works really well. This is definitely my favorite show of the summer! I love the format- after getting through auditions, solo dancers and team acts go head to head to move on to the final rounds. There are so many talented people on this show (including FikShun from SYTYCD and the Jabbawockeez! ), and I've been loving following along. My favorite acts would have to be Eva Igo and Keone and Mari. I also have to mention that Big Brother is officially back for the summer! I'm still getting caught up, but there are a lot of people I'm excited about (most of all PAUL IS BACK!) and I'm interested to see how Christmas does in the competition since she's a CrossFit athlete. Have to add some more new music in here, because so much good stuff is coming out! Calvin Harris just came out with Funk Wav Bounces Vol. 1, which is full of amazing collabs from some of my favorite singers (just a sampling includes Future, ScHoolboy Q, Migos, and Kehlani). DJ Khaled also recently released Grateful, which features a lot of the same artists, but a completely different sound. My favorite song off that album (and probably my song of the summer) is Wild Thoughts. So good! What's your song of summer? Who else loves Big Brother?